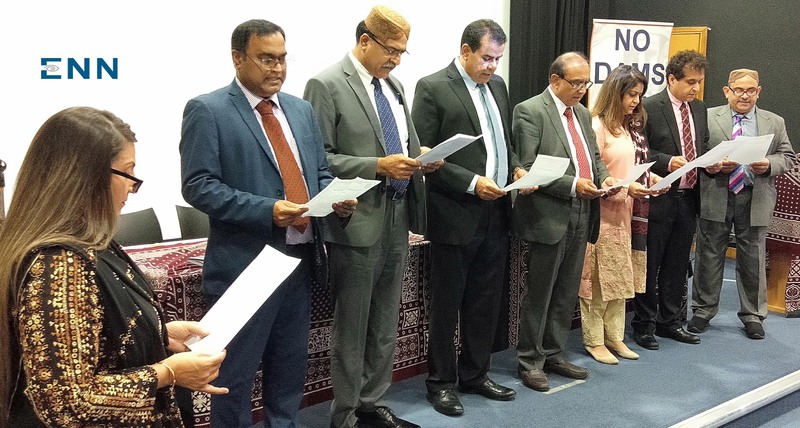 LONDON (ENN) World Sindhi Congress (WSC) conducted the elections of its Executive Committee for 2018-2020. Bharat Dadlani of United Kingdom (UK) was the Election Commissioner. The new Executive Committee (EC) includes Farhan Kaghzi, Gul Sanai, Hidayat Bhutto, Hajan, Kalhoro, Imran Baloch, Lakhu Luhano, Rubina Shaikh, Saghir Shaikh, Umed Laghari and Zubair Bhambhro. While the new EC elected Dr Rubina Greenwood as the chairperson of the congress and Dr Lakhu Luhano as Secretary General. However other office bearers included Senior Vice Chairperson Umed Laghari, Vice Chairman Zubair Bhambhro, Deputy Secretary-General Haresh Kumar, Finance Secretary Hidayat Bhutto, Information Secretary Farhan Kaghzi and Gul Sanai as Cultural Secretary. The new EC also nominated the Organizers and the Organizing Committees for WSC Chapters which included Hidayat Bhutto organizer for UK and Europe, with Abdul Rauf Laghari, Moazam Mughul, Jabir Shar, Ahmed Nawaz Ansari, and Marvi Baloch. Saghir Shaikh as organizer of United States of America with Malik Dino Shaikh, Rehman Kakepoto, and Mansoor Samo. Hajan Kalhoro was nominated organizer for Canada with Siraj Makhdoom and Asif Panwhar as members. The new office bearers were administered oath by poetess and writer Ruhi Kalhoro here on Saturday at University of Westminster, London.